By now, you've read a full summer's worth of posts on Segmentation. On a one-by-one basis, you can segment customers on the basis of the attributes illustrated over the past three months. It's big time fun, and you'll make a bunch of bacon in the process. But life is more complicated than that, isn't it? What about the online customer who buys after receiving direct mail that drove the customer to Google to search for the item that the customer purchased, causing you to pay twice for the right to encourage this customer to order merchandise? What about the online customer who buys from only one merchandise divisions, and the offline customer who buys from that merchandise division and three others? Is there a difference between the customers? In the real world, there are dozens of dimensions of complexity, dimensions that make it really hard to use a traditional segmentation strategy to understand customer behavior. This fall, we transition the discussion from Segmentation to Digital Profiles. Digital Profiles are my way of collapsing dozens or even hundreds of dimensions down to a manageable number of segments, segments that contain unique combinations of customer behavior that lead to actionable marketing strategies. Join me this fall as we explore advanced segmentation strategies ... what I call Digital Profiles! Here's a tidbit to help you determine if your matchback analytics are failing you. Have your analysts freeze the customer file as of 8/15/2009. Take some random RFM segment from four years ago (46-48 month, 1x, $100 AOV). Measure online demand generated without catalog mailings, and generated via catalog mailings as identified in your matchback process. Calculate the percentage of demand generated online by catalogs (say 50%). Now, have your analyst pull the 0-3 month, 2x+, $100 AOV (or any other high-value recent segment). Measure online demand generated without catalog mailings, and generated via catalog mailings as identified in your matchback process. 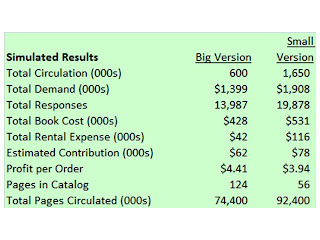 Calculate the percentage of demand generated online by catalogs (say 80%). The difference in these two metrics (50% for non-recent buyers ... 80% for high-value buyers) is highly correlated with how much your matchback analytics are over-stating the importance of the catalog. 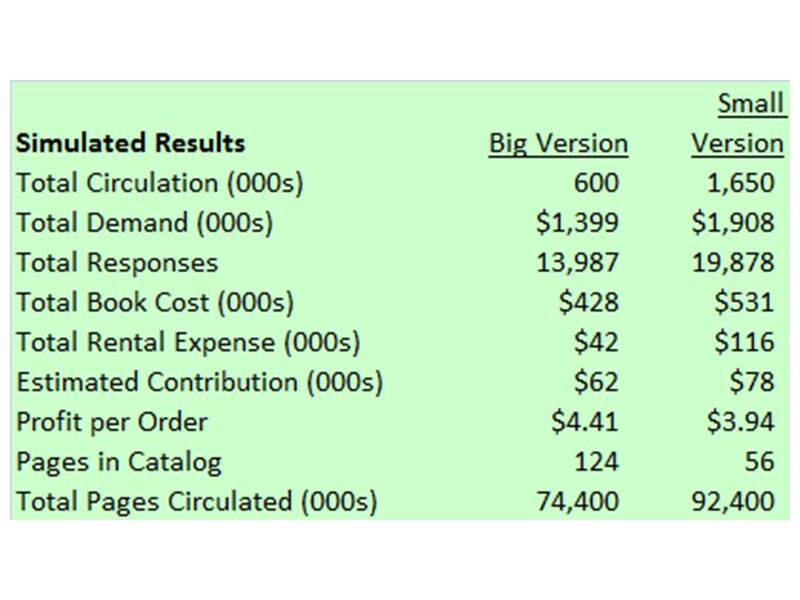 Once you know the value of the two metrics, remove the 30% excess (in this example) from your catalog p&l at a segment level, and then calculate subsequent circulation plans based on this analysis. Then hide your head in your hands and duck, because you won't like it when you see just how much your are over-circulating, benefiting every vendor in the catalog ecosystem, while hurting your shareholders/owner. You've probably heard by now that Brandon Templeton is out at CEO at Gliebers Dresses. He went "all-in" as he says with a mobile app strategy that failed miserably from a sales standpoint. What I am really proud of, however, is the loyalty program that I shepherded last year. You probably remember the program, we offered free shipping for a full year once a customer purchased four items. Well, how the heck do you think we held on to fifty percent of our sales without mailing a single catalog in July? It HAS to be the loyalty program, don't you think? So here's what I am wondering. How can we prove that the loyalty program was responsible for holding on to fifty percent of our business in July? Roger's team looked at the percentage of orders that had free shipping in July, it was close to something like 40% of the orders. I should get credit for every one of those orders, right? I mean, those orders should be attributed to my loyalty program. And then we have the remaining 60% of orders, a decent percentage of those had customers with three items and four items, so those orders should be attributed to my loyalty program as well, because my program is pushing customers closer and closer to free shipping on an annual basis. Anyway, it would be great if you could jot down a few notes about how to demonstrate that our loyalty program saved our bacon in July. I don't know if you know this or not ... Roger would like to be the next CEO of Gliebers Dresses. I think he'd make a good leader, he has solid knowledge of the business and he is really up to date with all of the latest marketing strategies, I doubt anybody reads research reports as thoroughly as he reads them. It would be amazing to see him put his theories into practice. Thanks in advance for your help, I don't think we're looking to pay you anything, we just want for you to do a quick analysis of our loyalty program, maybe a day or two of your time, that's all. Visualization of Multichannel Forensics: Wired Magazine, "The Web Is Dead"
Take a peek at the article from Wired Magazine (The Web is Dead). Look at the image at the top of the chart. This is what we are seeing with classic catalog and e-mail marketing in the majority of my Multichannel Forensics projects ... the new channels come, but they don't fully replace the old channels, leaving business leaders in a bit of a pickle. Fortunately, you can make a boatload of profit by cutting back on old-school advertising to customers who have made the transition to newer channels! And by the way, read each viewpoint in the article ... please, read each viewpoint. An evolution that is going to swamp e-commerce is well articulated on each side of the spectrum in the article. We haven't chatted in a long time, so I thought I would reach out to you. I hope you are doing well. I understand that you have been working with a company on the west coast that is making good use of robotics in the distribution center. Would you be willing to share with me what this company is doing, how they are doing it, what it costs, and what they perceive the competitive advantages are of their robotics system? Our budgets are tight, so we're not going to pay you anything for this, we just thought maybe you'd be willing to spend a half-day or so jotting down your thoughts, you know, something that doesn't take too much time. Thanks in advance for your help, we appreciate it. You might have heard that Brandon Templeton is out as CEO of Gliebers Dresses. This certainly isn't a surprise, I mean, this guy violated just about every best practice in the book in his quest to, as he would say, "modernize marketing". Woodside Research recently published a report that suggests that, by 2013, customers will hold up to six mobile devices at one time while leveraging offline marketing and e-mail marketing to make purchase decisions, requiring marketers to be nimble, sophisticated, and savvy at using multiple channels in a synergistic manner. Clearly, Mr. Templeton didn't read the research report, or he wouldn't have decided to obliterate our catalog marketing program in a short-sighted attempt to demonstrate the viability of emerging channels. I am hoping that you might be able to assist me. Fitz Gleason, the gentleman who owns Gleason Investments, our parent company, is actively searching for our next Chief Executive Officer. As you already know, it sometimes takes a long time to find a viable Chief Executive Officer ... Woodside Research states that the average time it takes for a company to find a CEO is about eight months. I would like the opportunity to showcase my talents to Management. I would like to become the Interim CEO, and with luck, I could demonstrate that I deserve to be the permanent CEO of Gliebers Dresses. You are already familiar with my strong strategic mindset. Nobody is going to come to the table better prepared than I am. I challenge any operations leader to match my knowledge of multi-channel marketing. You know as well as I do that it is critical to subscribe to and purchase the papers issued by all of the leading research organizations. 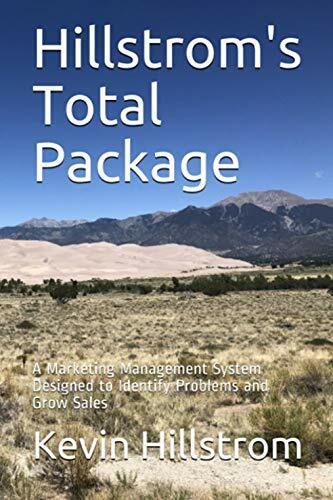 Though I haven't been given the opportunity to run a marketing program, I possess a thorough knowledge of all multi-channel marketing best practices. Heck, I know why it is important to optimize the number of pixels in an e-mail pre-header. I've read Seth Godin, so I know how the lizard brain fights against making strategic changes to a marketing organization. Outsiders might suggest that I don't have the merchandising experience necessary to grow a business like Gliebers Dresses, but I disagree with that point of view. Neptune Research suggests that merchandisers that will win in the future source product in a nimble and rapid manner, responding to customer demand in real time. I believe I can move our organization in this direction in a frictionless manner. Anyway, I am hoping that you would be willing to call Fitz Gleason and put in a good word on my behalf. I know that you are respected in the industry, so I am confident that your thoughts would go a long way toward helping advance my career objectives. Let me know when you have had a chance to speak with Mr. Gleason. I am heading to Lake Winnipesaukee for the weekend, I will be available next week if you have any questions. Last week, I purchased an iPad. This week, I view the world in a different way. I read books via the Kindle App, a better experience than reading a physical book ... heck, I can see areas in the book where other readers highlighted important facts. The Weather Channel App is fantastic. I can search any radio station in America that is playing a certain song using the TuneIn App, hop on, and listen to that song, or I can play my entire music library on the device. I can use the device as a mobile GPS platform with the 3G connection. I can listen to my hometown radio station while traveling. I can watch a streaming movie with the Netflix App. Of course, it's the user interface that makes the iPad and the coming onslaught of competitors different. As if a page was taken out of the movie Minority Report, your finger becomes the mouse. The "app" fuses a computer program with easy website navigation. Many of you are reading this and saying "duh" ... you've owned an iPhone for years, you know all about this. Many of you are reading this and saying "boring ... the iPad is a clumsy laptop, I can do all of that online right now, the iPad is an expensive and functionless toy." I will say this. If you perceive the device to be different, then the device is different. And that's all that matters. Folks who view the device as being different create apps for the device that are different, or use apps in a way that is different from the traditional web experience. As Ben Stiller said in "Night at the Museum", "... there's a storm comin', buddy." A whole chunk of the e-commerce / online channel is getting ready to break off, sort of like the giant iceberg that broke off of Greenland this week. If you are an e-commerce brand, how do you decide which of your 12,000 skus deserves to be featured in an app? Or does the app even bother focusing on the best 1% of skus, instead seeking to solve a customer problem over selling the customer merchandise? If you are a publisher that makes money from selling ads, what do you do when you lose 30% of your homepage traffic to an app that does not monetize ads as effectively? If you are Barnes & Noble, what do you do with debt-ridden stores that house paper books when a third of your former store customer base is using the Kindle or a Kindle app on the iPad? Even if you have your own device or you have your own app, you still have to cover the costs of your debt-ridden stores ... right? How do you do that? If you are a web analyst, do you try hard to be an expert at analyzing what happens at http://www.weather.com, do you become an expert at a new generation of software that will inevitably appear to analyze mobile transactions, or do you become an expert at analyzing how all online and offline channels fit together? It's a relevant question, one I hope you are spending time pondering. If you are an e-mail marketer, do you optimize a channel that is in slow decay? Or do you jump into mobile and be the "conduit" between old-school marketing tactics and apps? If you are a catalog marketer, do you focus on harvesting every last penny out of the 64 year old Upstate New York customer who loves to shop via paper in the mailbox? Do you spend the 15 free minutes you have each day fussing over whether the model on the back cover of the catalog is 'brand appropriate', or do you lead your company into the future by creating the most innovative publishing/magazine app that conveys all of the subtleties of merchandising/creative that are utterly absent from modern e-commerce? I have no idea how all of this will turn out. I can only see, from my experiences, that I've changed ... and I've had the device for a week. What happens when 40 million households have a similar and far more affordable device? If your database allows you to do this, I'm begging you to do this ... create a segmentation variable for employee orders. Then, sum employee demand for the past twelve months. Compare that sum to the sum of employee demand from 13-24 months ago, 25-36 months ago, 37-48 months ago, etc. Go to your human resources department, and ask how many employees you had during each time period. Then calculate demand per employee. Trend demand per employee by year. What does the productivity of your employee base look like? Is it correlated with the number of twelve month buyers you have? If sales are in decline among your employee base and among your customer base, then ask your employees why they won't buy the merchandise??!! I did this experiment once ... my marketing department was being pummeled by management for not "promoting the brand". So I summed employee demand among all employees Director and above, showed that demand was in decline, then asked this employee set in a meeting why they were choosing to not spend as much with our brand, after all, marketing should be irrelevant to them, they live and create the brand. Yes, the room got really, really quiet. Employee orders are the analyst/marketer's best friend. You can cut through a lot of garbage and get down to the core issues associated with merchandise productivity by demonstrating that the Leadership team is / is not buying the merchandise.